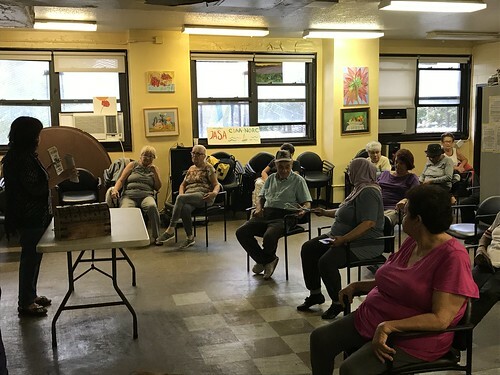 "Coney Island Creek: An Uncertain Future," a film by Charles Denson, was recently screened at Coney Island Library and is now up on Denson's Coneyologist channel on YouTube. Featuring interviews with stakeholders including local residents, ecologists, anglers, birders, divers, park volunteers, teachers, and the Brooklyn Parks Commissioner. 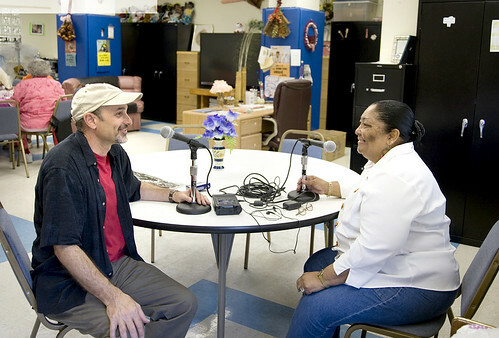 The 18 minute video is part of a longer documentary film project currently underway. "I grew up near Coney Island Creek and began photographing it in the 60's when the waterway was at its lowest point, polluted and neglected, but I always knew there was something special about the creek and that it would survive," Denson says in the film's introduction. Today, the future of Coney Island Creek is uncertain. Will it be an asset or a liability? The city is currently funding a feasibility study to decide whether to dam up the creek by building a tidal barrier with culverts, a move that would most likely turn the waterway into a toxic cesspool and do little to prevent flooding. Will Coney Island Creek become a restored wetland that prevents flooding or will it become a hazard to the community? Informed community input is vital. Happy 102nd Birthday, Woody Guthrie! 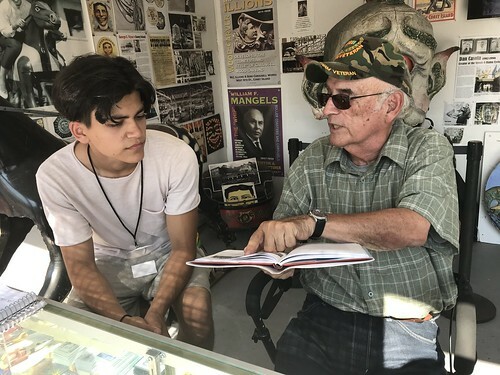 This weekend, in honor of the folk hero's July 14th birthday, the Coney Island History Project will screen "Woody Guthrie's 100th Birthday, Celebrated at Coney Island," a short film by Charles Denson. 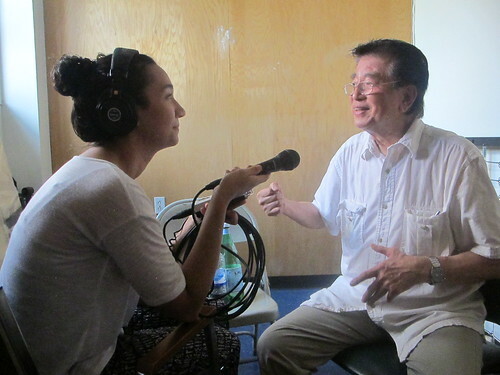 The film may be viewed on Saturday and Sunday, July 12th and 13th, from 12pm -6pm, at the History Project's exhibit center. Admission is free of charge. 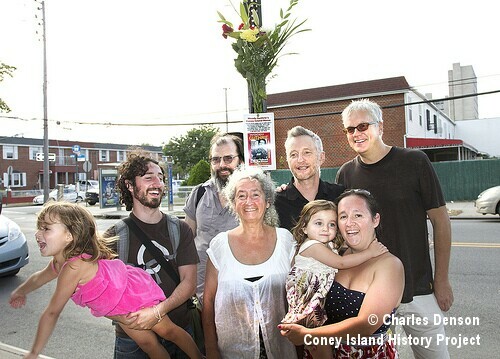 Charles Denson's film was made on July 14, 2012, when the activist songwriter's daughter Nora Guthrie and family members including grandchildren, along with musicians Billy Bragg and Steve Earle and actor Tim Robbins (seen in above photo) made a pilgrimage to Coney Island, where Guthrie lived on Mermaid Avenue for a decade. The film will be screened next year at the Brooklyn Center for the Performing Arts at Brooklyn College when the Klezmatics' "Woody Guthrie's Wonder Wheel Tour" performs there on March 8, 2015. This week, the arts center is commemorating Guthrie's birthday with a special discount offer for the Klezmatics' show, which features songs written during Guthrie's Coney Island years such as "Mermaid's Avenue." Use code WOODY20 and save $10 per ticket. The offer expires on Woody's birthday. 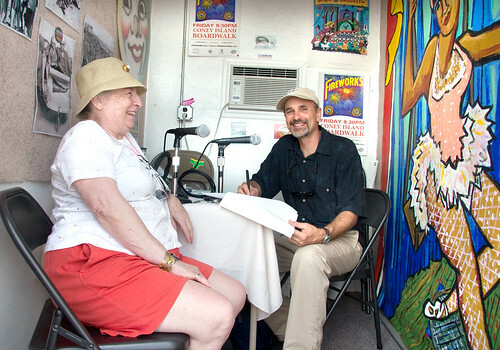 In 2008, Woody Guthrie was honored at the Coney Island Hall of Fame ceremony at the Coney Island History Project along with an exhibit "Woody Guthrie's Coney Island Years." History Project director Charles Denson also put up the commemorative plaque, seen in the photo above, at 3520 Mermaid Avenue, where the Guthries lived from 1943 to 1952. The building was demolished in 1972. When Guthrie died in 1967, his ashes were spread in the ocean one block from here, at the foot of West 36th Street. 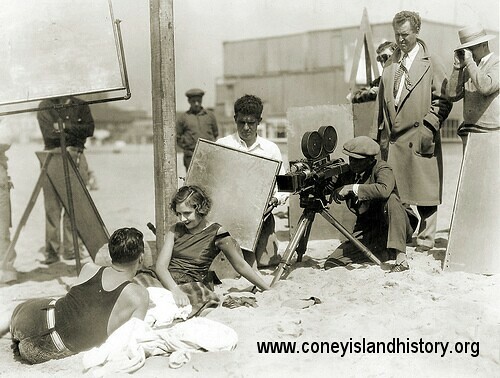 In 1928, when John F. Kennedy was a young boy living with his family in the Bronx (the Riverdale section, not the South Bronx), his father, Joe, was forming RKO studios and producing a movie called "Coney Island. " 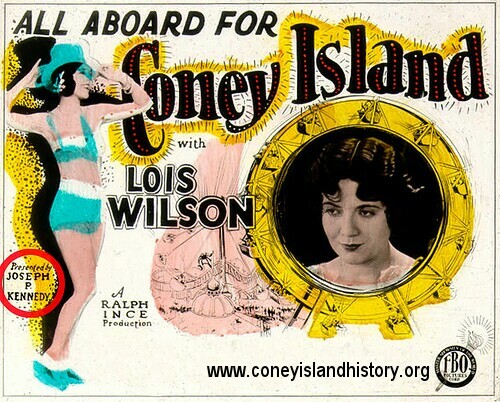 The flick starred silent picture queen Lois Wilson and was directed by Ralph Ince. The motion picture industry had recently moved from Brooklyn (Vitagraph Studios in Midwood) to Hollywood and most of the Coney scenes were shot in Los Angeles. Promotion for the film described it as the story of " a young woman swept up in the romantic magic of America's favorite fun destination. 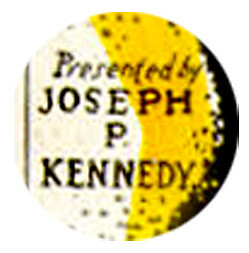 . . "
Joseph P. Kennedy sold his movie studios in the early 1930s, went into the liquor business, and then into politics as President Roosevelt's ambassador to Great Britain. The rest is history. 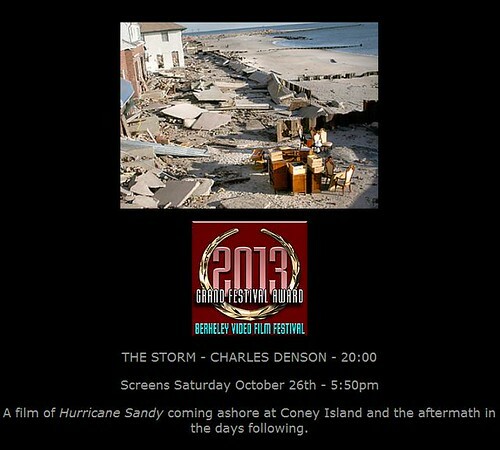 This month, on the 1st anniversary of Superstorm Sandy, Charles Denson's "The Storm" is screening at the Brooklyn Art Council's Scene:Brooklyn Film Series on a program with Sandy-themed documentaries on October 29. On the West Coast, the film will be shown October 26 at the Berkeley Video and Film Festival, where it won a Grand Festival Award. 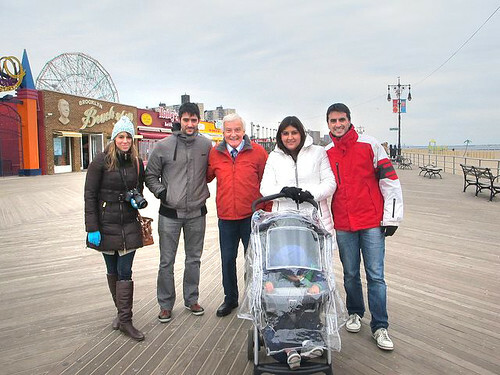 Mr. Denson's 20-minute documentary shows rare and dramatic footage of the storm coming ashore on the evening of October 29, 2012, as well as preparations for the storm, the surge at Coney Island and Sea Gate, and the storm's aftermath. 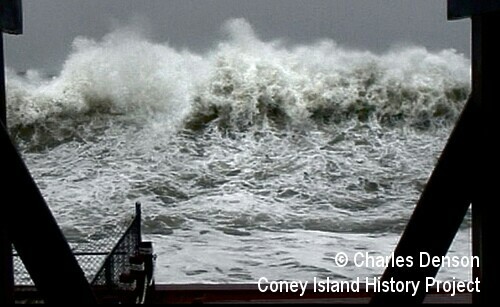 It begins with footage of Hurricane Donna striking Coney Island shot by his mother in 1960. Mr. Denson rode out Sandy in Sea Gate, where his apartment and car were destroyed by the storm surge. "I thought, 'nobody's filming this. I've got to record this,'" Denson said in an interview in the Brooklyn Paper when the film premiered at last month's Coney Island Film Festival. "I realized, it's very different when you actually experience something and put your life on the line to record something," Denson said. Tuesday, October 29: From the Floodlines, BAC's Scene: Brooklyn Film Series Venue: Galapagos Art Space, 16 Main Street, DUMBO Doors Open at 7pm, Screening 8pm - 9:40pm --This year's BAC film series runs from October 25-October 29 and features films and media art inspired by or relating to Sandy and its aftermath. --Tickets are $10. Info here. Saturday, October 26: Berkeley Video and Film Festival Venue: East Bay Media Center, 1939 Addison St, Berkeley Arts District Screening at 5:50pm --Ticket info here. 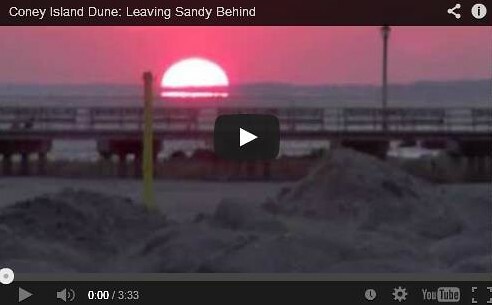 Remember the dunes that were created by the US Army Corps of Engineers on West 15th Street after Sandy? 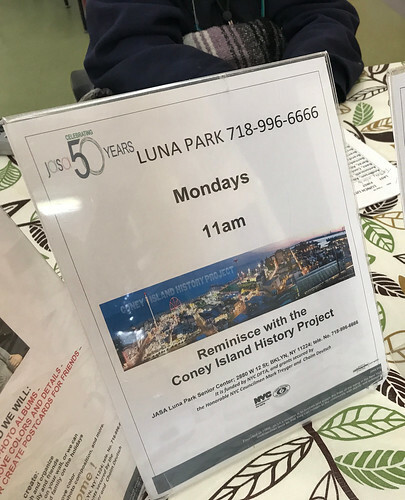 "Coney Island Dune: Leaving Sandy Behind" by Coney Island History Project director Charles Denson is a lyrical look at the temporary sand dunes. The sand was cleaned and then returned to the beach by the Parks Department after having been collected from the streets where it had been swept by the storm. You can see the film on Denson's Coneyologist channel on YouTube. Also on view are "Requiem for the Astrotower," "Woody Guthrie's 100th Birthday, Celebrated at Coney Island" and "Secrets of the Universe," a short that premiered at the 2010 Coney Island Film Festival.